A complaint was filed with the Inspector General in accordance with Civil Air Patrol Regulation 123-2, Complaints. The Inspector General is responsible for inquiring into the facts of the situation. An investigation determined that you were involved in the situation which was the subject of the inquiry. a. SUBSTANTIATED — an allegation is “substantiated” when the inquiry reveals “a preponderance of evidence” in support of the allegation. b. NOT SUBSTANTIATED — The inquiry determined that the act complained of did not occur, was justified according to applicable directives, or that there was not a preponderance of evidence to support the allegation. The information found by the Inspector General has been presented to me as the Commander for a decision concerning any necessary action. The following findings and classifications have been made. (1) The allegation That Lt Col Slagle has been grounding pilots (by Operations Chain of Command Authority) and that none of these pilots were provided proper written notice of the suspension of CAP flying privileges as required by CAPR 60-1, para 2-7 (a)(2, is classified as SUBSTANTIATED. The Inspector General found a substantial number of facts or amount of information supporting the allegation. (2) The allegation of Reprisal against a member for working the correct process within the chain of command, by Lt Col Slagle in violation of CAPR 123-3, para 3(1) and CAPR 1-1, is classified as SUBSTANTIATED. (3) The allegation of That Lt Col Slagle in a scheduled meeting intended to intimidate a member for the purposes of persuading said member not to document Regulatory and Safety Violations, and that said member did suffer improper abuse at this meeting in violation of CAPR 123-2, para 3(1) and CAPR 1-1, paras 1, 3 and 4, is classified as NOT SUBSTANTIATED. The Inspector General determined from the facts presented the act or acts complained of did not occur, was justified according to applicable directives, or that there was not a preponderance of evidence to support the allegation. I concur with the Inspector General’s findings. Therefore, you are prohibited from serving as a Director of Operations/Operations Officer, Assistant Operations Officer, Emergency Services Officer (or assistant) or as a STAN/EVAL Officer, at any level, for a period of 1 year from the date of this letter. A copy of this letter will be placed into your Civil Air Patrol personnel file and shall remain a part of your file so long as you are a member of Civil Air Patrol in any capacity. You may appeal this decision in accordance with the applicable CAPR. 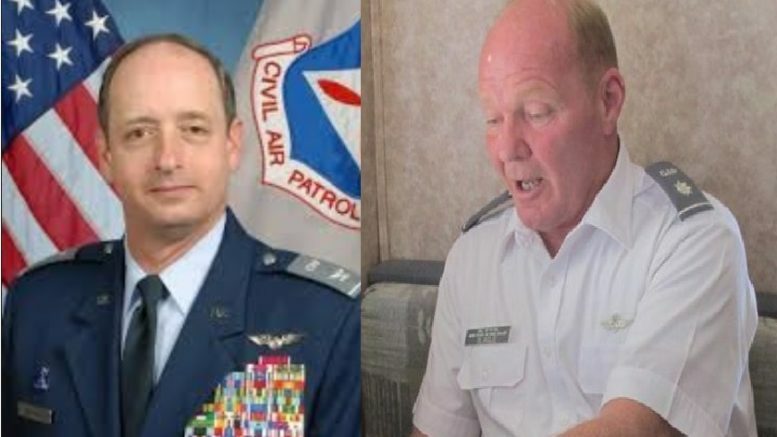 Be the first to comment on "Civil Air Patrol’s Brett Slagle Suspended by Al Bedgood for Reprisal Against FAA Flight Instructor"